Strategic goal – attract funding from EU structural funds, provide environmentally friendly and safe public transport to the residents of Jūrmala that is in compliance with the highest EU standards for quality and safety. Mission – ensure the availability of public transport services to different passenger groups in Jūrmala. Vision – offer environmentally friendly and modern buses, minibuses to the residents of Jūrmala by popularising them as the most environmentally friendly means of public transport in the city. 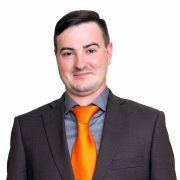 Jevgēņijs Ļegostajevs has technical education in information technology. He works in the passenger transport industry since 2014. His first work was a minibus driver-conductor in this sector. The experience in the passenger transport industry has helped him to develop new solutions for the route planning. In January 2016 he was appointed as the Director of Logistics in the SIA B-Bus and from July 2017 he was promoted as the Executive Director of SIA Jurmalas autobusu satiksme. 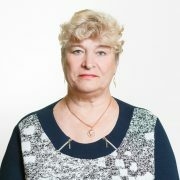 Vija Petrova works as the Chief Route Planner at SIA “Jūrmalas autobusu satiksme since January 2017. Works at the passenger transport sector already for 43 years. In 1973, started her working life at “Jūrmalas autotransporta uzņēmums nr. 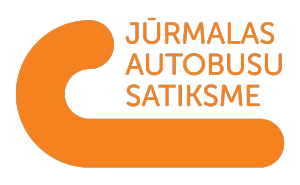 36” as timekeeper, later assuming the responsibilities of Motor Vehicle Technician while working also at “Valsts autotransporta firma Jūrmala-SV” as Personnel Inspector. From 1978 to 1980, she studied law in the People’s University in Jūrmala. Furthermore, she has obtained ISO certificate and the Certificate of Professional Competence on passenger and freight transport. Passenger safety is the top priority for our company. Our bus drivers are highly-skilled professionals who know how to react in non-standard situations. Service availability we provide specially adapted low-floor buses for different passenger groups, including seniors, families with children and persons with disability. We offerenvironmentally friendly public transport – we constantly modernise our bus fleet, thus taking care of the environment by reducing harmful emissions and ensuring extra comfort for our passengers from the moment when they board the vehicle. Service quality – we operate in accordance with the highest EU standards certified by ISO certificate 90001:2009 issued in 2015.